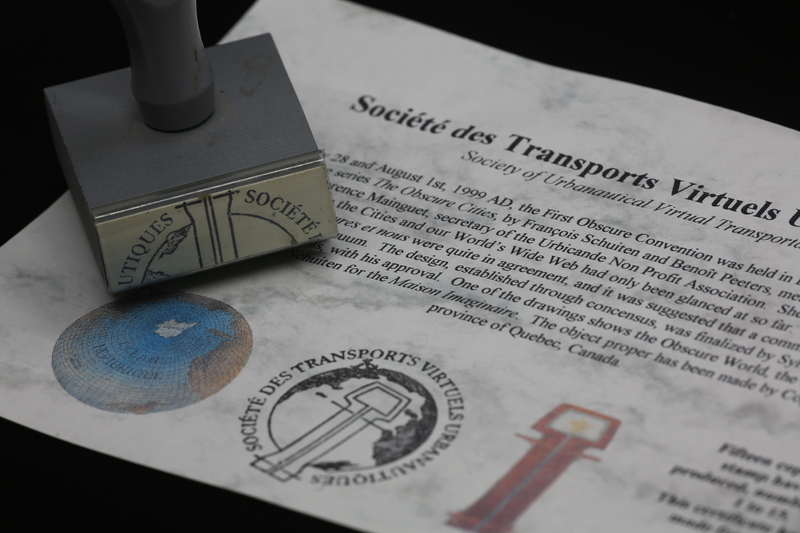 Société des Transports Virtuels Urbanautiques [Society for Virtual Urbanautical Transportation] is an association in our world, founded after the First Obscure Convention. 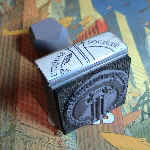 Following a suggestion by Florence Mainguet, a rubber stamp, based on a combination of two drawings by François Schuiten was specifically conceived by the participants of the Internet forum “Les Cités Obscures et nous” to commemorate the event. 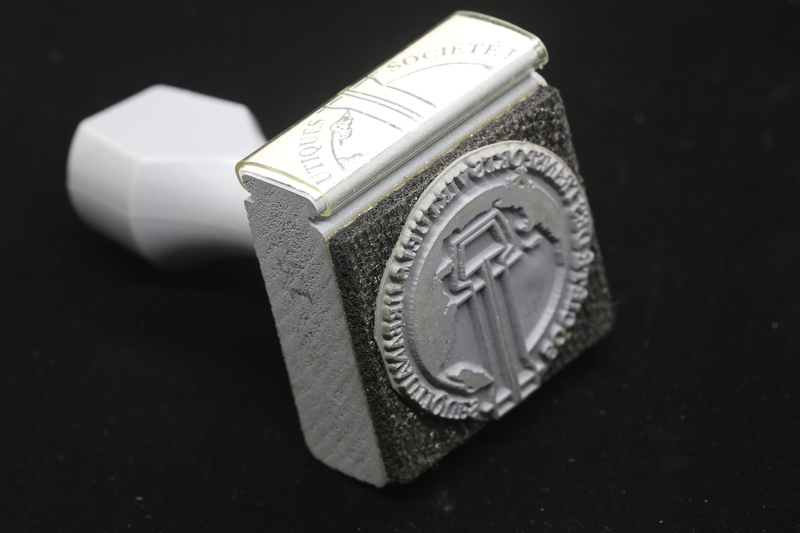 The rubber stamp was made in a limited edition of 15.